Take the right hand exit from the Tube station (note the old cast-iron wall lamps outside) cross over Parsons Green Lane at the lights and go right until the White Horse pub. 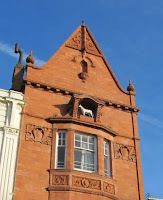 This building is in two parts, first a splendid corner site, painted white, then a tall terracotta edifice with a stone horse sheltered by an elegant canopy. Walk past the pub. Lady Margaret School for girls, founded in 1917, is to be found in the collection of stately eighteenth century houses a little further on. Cross to the green opposite Delvino Road and use the central path to get to the other side, heading for a brick church. Go over the road to St. Dionis Road. 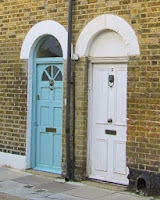 Here there are some very basic cottages (c1840) which open directly on to the street, no front gardens at all. The iron boot-scrapers are reminders that produce for the London market was grown around here until the mid nineteenth century when the parts of the area became industrialized. Return, and continue going round the green. At the New Kings Road end cross over towards a terrace of Georgian houses with pretty porches. Go to the left past these. Soon there is a parade of shops and cafes. 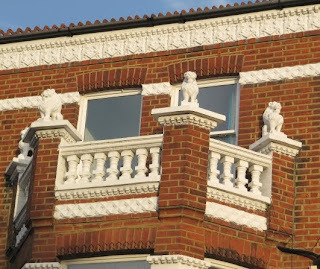 You may notice some beige terracotta* lions perched on the gables. These were the ‘signature’ of J.Nichols, a local builder who from the 1890’s developed the estate in the grounds of Peterborough House, demolished at the turn of the century. In the streets behind the shops are row upon row of houses guarded by lions perched incongruously on the gables of buildings that already have plenty of other moulded decoration. Originally the lions would not have been painted white, so perhaps they were less obvious when new. (If you want to see them in all their glory pop down Chiddingstone Street or Quarrendon Street.) Wander up the New Kings Road - quite a few small late Georgian houses mixed in with modern shops. 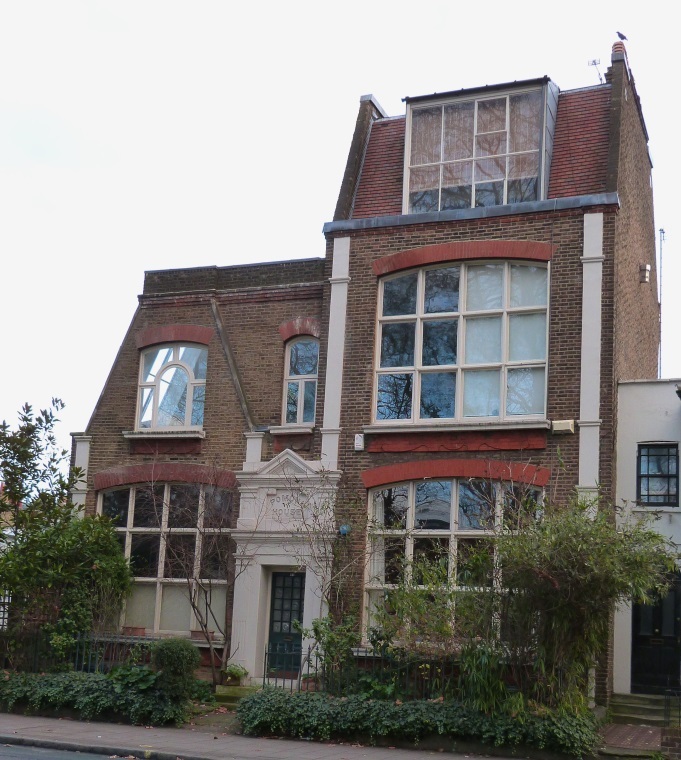 Just before Eel Brook Common (where Fulham FC sometimes played while still an amateur side) is a large studio, Pomona House. This was where the highly glazed grotesque 'Wally Birds' were created by Robert Wallace Martin in the late nineteenth century. Continue walking until the major junction with Wandsworth Bridge Road. Cross this carefully and then cross Bagley's Lane before following it round to Harwood Terrace, which is in the old industrial area known as Sands End. Go down this street to find an alley between the modern cottages at Nos. 9 and 11. This comes out at Imperial Square (once the site of market gardens). The square does not live up to its grand name, being a cluster of cottages in grey Gault brick built for the gas workers and company pensioners. Although very plain, the cottages are quite attractive with their neat front gardens and white wicket fences. The bricked-over centre is rather bare, but the concept is historically correct, as there never was a green, the central area having originally been paved with blue bricks. 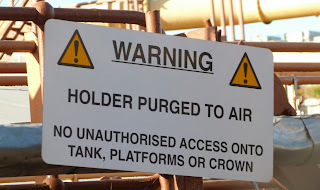 There was no question of escaping from the work environment - or the foul smell - as the gas holders dominated the area. 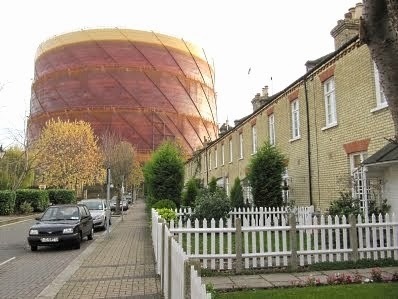 You might like to go towards the huge gas holder at the east end of the square. A very short way leads to Imperial Road from which you will have a good view of the splendid No. 7 gas holder (1880). Return to Harwood Terrace, turning right. 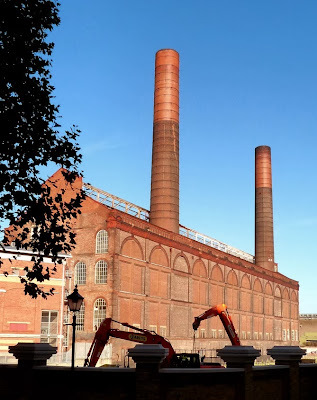 At Sands End Lane, (off Michael Road) is the old gas works complex.This was opened by the Imperial Gas Company in 1824 to provide lighting for Hammersmith and Fulham. 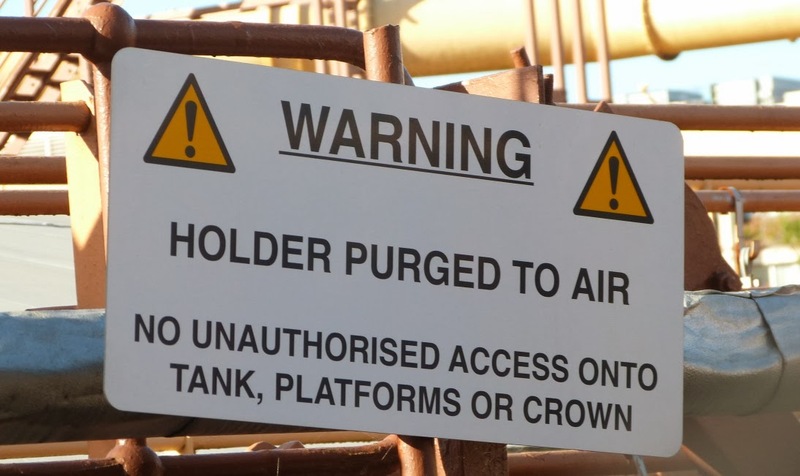 It is now a business park, but many of its old buildings and gasholders have been preserved, so if you are into large scary structures it's worth exploring (business hours). Return to Michael Road, cross over to the right and go down Waterford Road (unmarked - large red brick building on corner), passing the modest premises of the Art Bronze Foundry originally established in 1922 in the Fulham Road. The buildings may be humble, but the foundry’s history is distinguished, many bronzes by famous artists having been cast on this site since 1956. When you get to the Kings Road turn right at a short terrace. The 'blue plaque' at No. 77 was placed there by an admirer of artist Ralph Steadman. Further along are several interior decor and antique shops - note especially the ironwork at No. 600. At No. 555 you will discover an unusual seat cast in bronze in the shape of a huge book secured to the pavement by a large ball and chain. There’s a similar one in the British Library. Fun, but not comfortable, especially in cold weather! Go over the railway bridge to find Lots Road on the right. 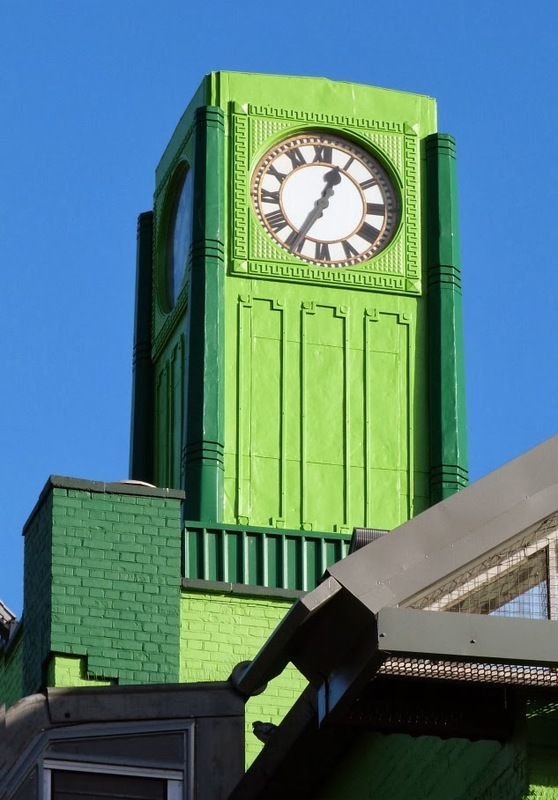 The very green building on the corner is the first of many antique/furniture shops round here and has a deco clock perched on the roof. Go down Lots Road. Soon two chimneys announce the famous power station (above, right). Techno-buffs may get all misty-eyed at this point , as this vast sparely-decorated building is one of the icons of the London Underground. 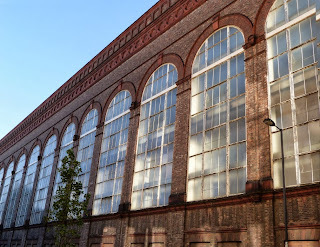 Completed in 1905 for the Metropolitan District Electric Traction Company, the coal-fired plant supplied power to the Metropolitan District Railway (now District/Circle Line) that had previously been hauled by steam. In the 1960’s it was converted to burning oil and lost two of its original four chimney stacks. Another modernisation in the 1970’s allowed it to run on North Sea gas. Lots Road continued to operate until 2002 when it was finally shut down, the electricity for London Underground now taken from the National Grid. The site is being redeveloped, but happily this impressive and historic building is safe from the threat of demolition and instead will become a ‘unique mixed-use community development’ for use by the inhabitants of the 800 or so new apartments planned for the area. 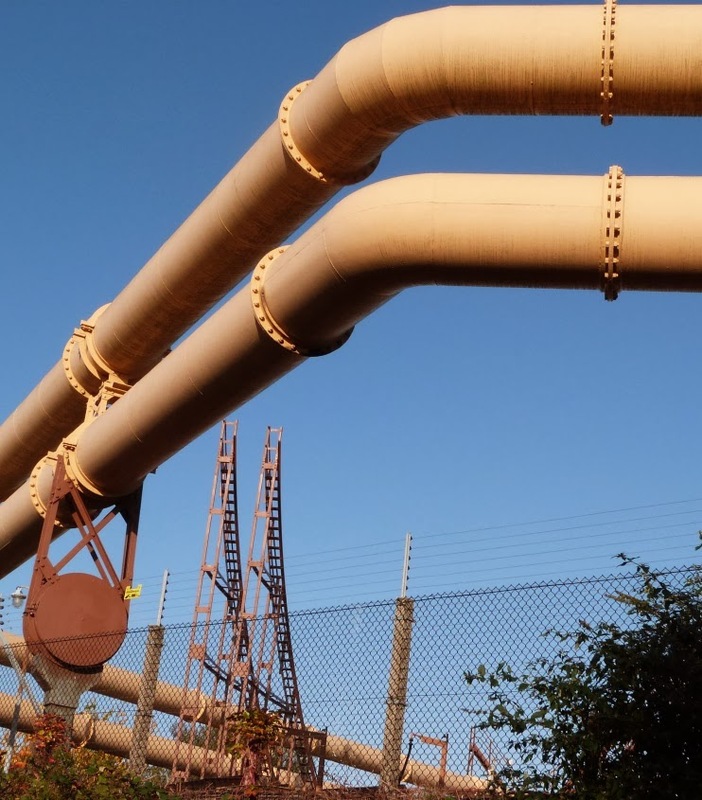 For a detailed technical explanation of the power station’s past glory click here. Next, the river. Where Lots Road turns to the left, go straight ahead over a little bridge, following the sign for Chelsea Harbour. 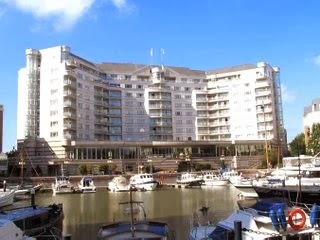 The buildings surrounding the marina, created in the late 1980’s from a disused coal wharf, are to my mind rather disappointing, with the notable exception of the impressive Wyndham Hotel (Triad Architects) whose harbour frontage has balcony railings reminiscent of those round an ocean liner’s deck. I also liked the top bay windows which echo a ship’s lights. The golden ball on top of The Belvedere tower block rises and falls with the tide, which at least provides some kind of link with the river. Go through the harbour and down to the Thames for a panoramic view. 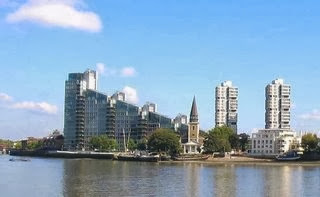 The little Georgian church opposite is St. Mary’s, Battersea – a brave survivor. Next comes a surprise. Walk under the railway bridge and continue by the river, passing the Marketing Suite, until you reach the railings that mark the end of Imperial Wharf (now new flats with extensive gardens laid out in front). 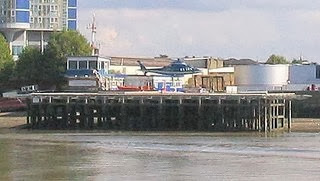 Look across the Thames between the modern buildings and you will see a jetty - amazingly, this is London’s main heliport. It was not until I actually saw a helicopter land (see photo) that I really believed it, as the pad sits on a set of wooden piles driven into the riverbed – technology that was already centuries old in Dickens’ time! Return to the harbour and make your way back to the King's Road via Lots Road. Cross at the lights and just after the railway bridge go down Wandon Road. 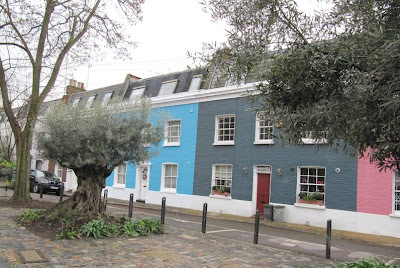 This is a strange place - on one side there is a row of colourful eighteenth-century terraced houses and - amazingly - three ancient olive trees.Opposite these is a social housing tower block and various late 1950's buildings. At the end of the street (which becomes an alleyway) cross the Fulham Road at the lights and walk to the left. Almost immediately you will pass one of the entrances to Stamford Bridge, the home of Chelsea FC. ** Squashed up against the stadium wall, but just visible behind Nos. 410-416 Fulham Road is the 'Italian Village' - quaint little studios with pantiled roofs built in the 1920's round a sculptor's bronze foundry. Pseudo-ancient doors in the street wall lead to the artists' enclave (private). Among the painters who worked there were William Holman Hunt and Pietro Annigoni.Further along is the Sir Oswald Stow Foundation. Established in 1915, it provides help with housing for vulnerable or disabled ex-service personnel. The gate pillars have an impressive list of battles engraved in the stone. From here it is a short way to Fulham Broadway Tube station. *Probably made from pale London Clay. **You might want to check match fixtures to avoid getting tangled up with home game supporters. Parsons Green is just one walk from the many to be found at London Tube Rambles. There are architectural gems, beautiful country views, historic places and quirky buildings even in the most unpromising areas covered by the outer London Underground stations. Usually the discoveries are within a mile of the Tube - often only five minutes walk away. If you reached this as an individual page via a search engine, you might like to go to www.londontuberambles.co.uk to see the other destinations explored. You'll be amazed at what's out there!